Feathers: Feathers should not be allowed to become too dry. You can use a suitable fine mist spray together with a special solution to spray on, your pet shop can advise you on suitable products. Some finches do enjoy a bath, but not all of them. 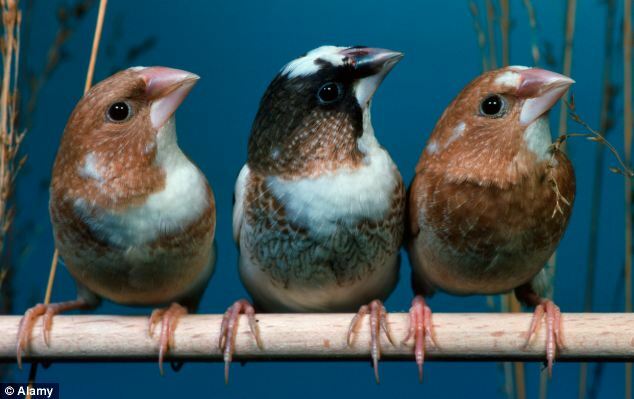 Finches can be housed in a cage or an outside aviary. A roomy cage is advisable and should be large enough for your birds to stretch their wings and fly from perch to perch The cage should be furnished with perches of different thickness so the birds can exercise their feet. You can also use fruit tree branches as perches, such as pear or apple, but do ensure they have not been soiled by wild bird droppings. Do not place perches directly above food and water pots. Put a few toys inside the cage but do not overcrowd it. Try buying a selection of toys and rotating them to avoid boredom. Bengalese and Zebra finches are keen bathers and shallow dishes should be provided. Always take your birds home in a carry box, not in a cage. Before introducing your finches to their new home, fill the food and water pots and sprinkle a little extra onto the floor, to ensure that they have enough to eat until they find the seed pots. Make sure all windows and doors are closed and fires are guarded. Gently open one end of the carry box and let your birds walk into their new home. If they appear anxious or do not settle, drape a cloth over three sides of the cage until they settle. Leave them to adjust to their new setting quietly for a few hours. Care should be taken not to disturb your finches at night. Night fright can cause the birds to fly into the cage wire, so cover the cage at night. In the wild, finches feed on a variety of seeds, including seedling grasses and leaves of plants. Your pet finches will require a good mixture of seeds to ensure they are getting all the nutrients they need – a good quality foreign finch mixture should be available from your pet shop. Check the seed dishes daily, removing any empty husks, and refill as necessary. Both the food and water pots will need washing regularly. Fresh thoroughly washed green-food may be given, such as chickweed and dandelion, but be very careful not to overfeed.